Unfortunately, the last version still had errors with the XZ1 and XZ1 Compact devices. The recovery could not be started via the software. There were also connection problems via adb. I have made further adjustments to the custom recovery and released them with the XperiFIX version 2.2. Since there were also difficulties with the XperiFIX-Flasher script, I completely revised it. The DRM patch now runs on all XZ Premium, XZ1 and XZ1 Compact devices. If you still have problems with XperiFIX, check the adb / fastboot driver for the device. It is recommended not to use standard drivers, but to load the drivers directly from Sony. Users at XDA recommend to use the drivers from “Flashtool”, which however require a deactivated driver signature check (Windows). I personally use the original drivers from Sony. Crashes adb.exe over and over again in TWRP. Any ideas? Please check your PC if the right driver is installed. You should use the drivers from Sony developer website. In Windows, open your device manager while the phone is in TWRP or running the system with adb debugging (developer settings). Then manually choose and install the right driver. Is there something like “supported firmware version list”? Or any firmware version is OK? Take a look at the download page and switch to the history there. Is this tool firmware-version-irrelevant? Or it only works on specific versions? Please install the correct driver for your device (Sony driver!) and make sure your firewall doesn’t block adb/fastboot. Please check the logs in XperiFIX program folder. If the device isn’t found, you have to install the correct driver. If there are read/write errors, make sure you swipe to the right in TWRP to allow system modifications. In TWRP go to “mount” and uncheck the “mount system read-only” option. Run XperiFIX again, it should work. Run the app as Administrator. Brilliant work. Will 119 compatibility be coming soon? It seems like there is a new bug, we can’t click on the checkbox to agree with the terms. Is your device supported? The checkbox is disabled if not. Hello Storm! 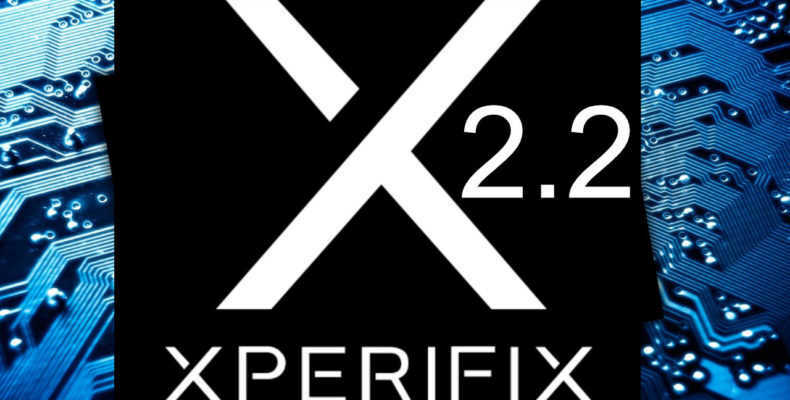 how i can update the firmware after XperiFix was installed? There is a new official firmware came out 41.1.A.12.119 and i do not know how to update it. hi, have you shared the guide yet? i would like to do this too! Hopefully there will be an update to build 119 soon. Does it support Sony Xperia XZ Dual ? No. It supports “XZ Premium Dual” but not the older “XZ”. Maybe I will implement this in future updates. Support only for devices 2017 and later? Not 2016? Xperia X? My Sony Xperia XZ Premium (G8142) is listed as supported but I can’t click the checkbox! Any advice? Hi – Is Build Number 41.1.A.12.119 now supported? Any word on the guide for updating the firmware? We’re not past 119 and into 145 with the XZ1 Compact; would love to be able to switch to this myself and run. A link here to that guide if it exists would be great! Sorry; that last comment was meant to be “now past 119” not “not past 119”. That was unnecessarily confusing. When will you do an update for the tool? Will this work on the new XZ2 compact? Please make sure you have the correct Sony device drivers installed for your device. Also check your firewall/security software, maybe it blocks XperiFIX or adb.